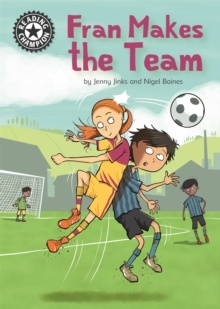 Fran loves football and has great goal-scoring ability, but how can she get noticed by the school football coach and convince the boys to accept her on the team?This first colour chapter book is a perfectly levelled, accessible text for Key stage 2 readers aged 10-11.Reading Champion offers independent reading books for children to practise and reinforce their developing reading skills. Fantastic, original stories are accompanied by engaging artwork and activities to provoke deeper response and encourage writing. Each book has been carefully graded so that it can be matched to a child's reading ability, encouraging reading for pleasure.